The Cathedral of St Mary Kuala Lumpur is the Anglican Church’s cathedral for the Diocese of West Malaysia. 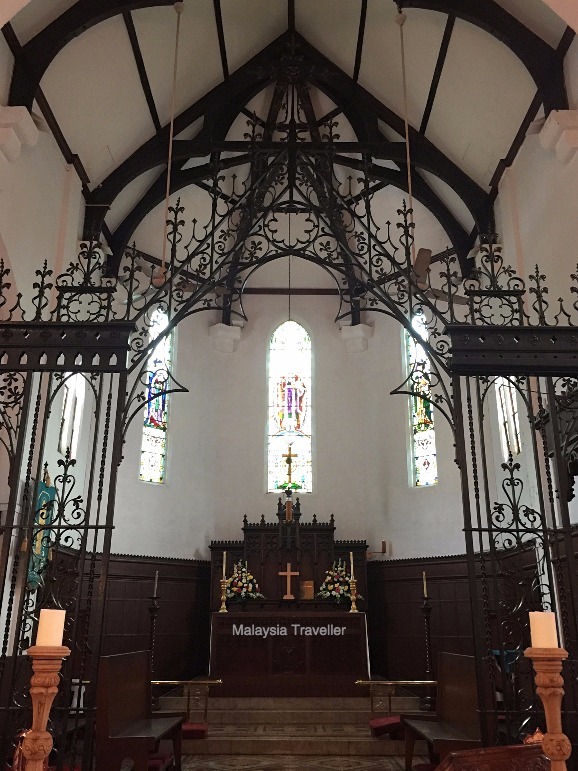 The Anglican Church has two other cathedrals in East Malaysia; St. Thomas’s in Kuching and All Saints in Kota Kinabalu. 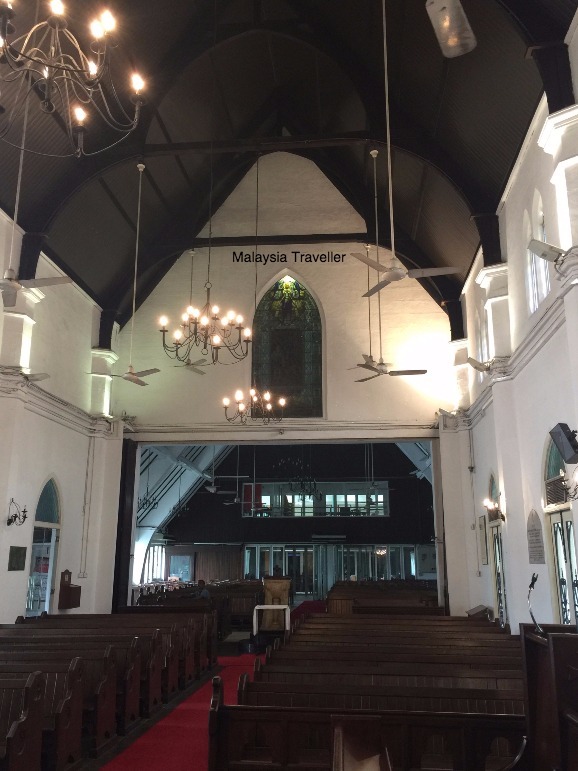 St. Mary’s is a fairly modest building by cathedral standards (there is no bell tower for example) and it is not the oldest Protestant church in Malaysia either, that honour goes to Christ Church in Melaka. 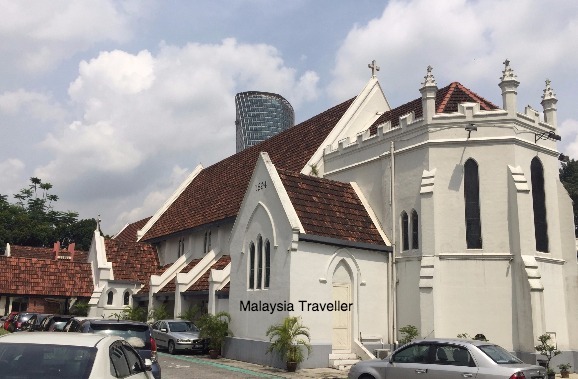 However it is the oldest church in Kuala Lumpur, the capital of Malaysia, which no doubt justified the decision to upgrade the church to cathedral status in 1983. 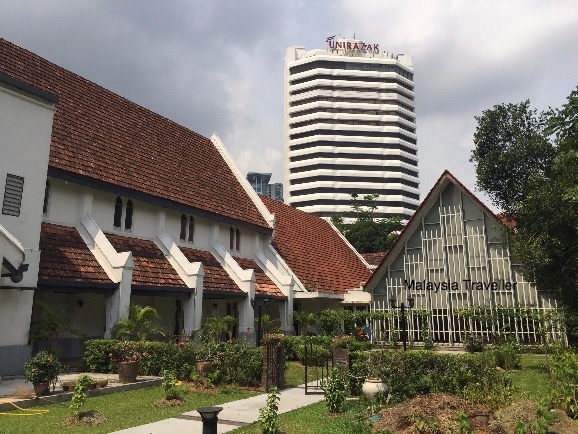 The original St. Mary’s was a simple wooden structure costing around a thousand dollars, built in 1887 close to where the Malaysian Police HQ at Bukit Aman is now located. 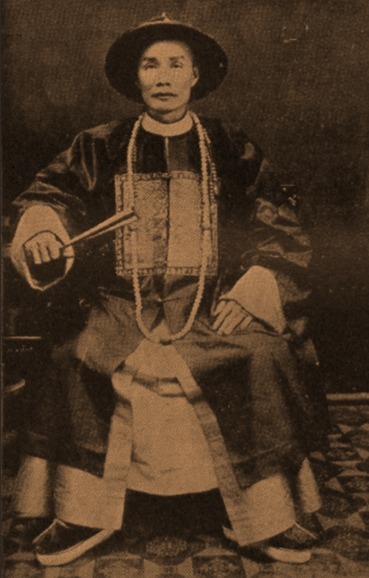 Capitan China Yap Kwan Seng helped to pay for construction of the church. Construction of the current church commenced in 1894. The original cost was ten thousand dollars, half of which was donated by the Government and the other half by public subscription. The Straits Trading Company gave $1,000, the Straits Steamship Company chipped in $500 and Capitan China Yap Kwan Seng generously contributed $1,000 even though he was not a Christian. This is the foundation stone. We know something of the dignatories whose names appear here. Sir William Hood Treacher was the sixth Resident of Selangor at the time. Jalan Sultan Ismail was formerly named Treacher Street. Alfred R. Venning was the first Chairman of the Sanitary Board and it was he who proposed setting up the Lake Gardens in KL and the first golf course in KL. Venning Road is now called Jalan Perdana. The architect of the church was A.C. Norman who also designed the nearby iconic Sultan Abdul Samad Building. There is no graveyard at the church. Perhaps it was considered to be too close to the Selangor Club and also the area was prone to flooding. Burials took place at the Protestant cemetery on Venning Road, close to where the National Mosque now stands. 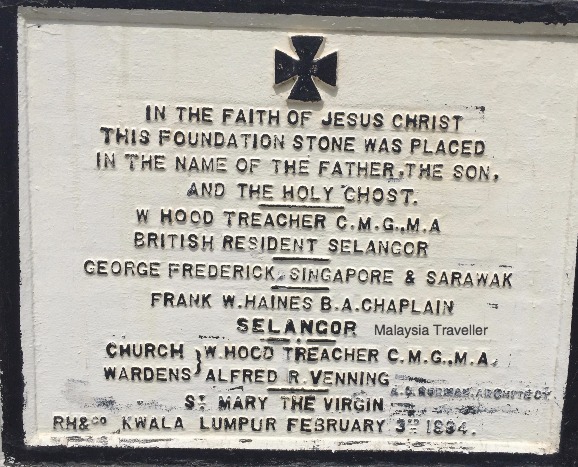 The graves were exhumed and reburied at the Cheras Road Christian Cemetery when the site was redeveloped. The church was extended in 1958 and an annex was added in 1968. Further renovations took place in 2006-2007. "Last year for some unknown reason the finances of the Church were in a deplorable condition, in spite of the fact that the Membership of the Selangor Club (almost next door to the church) was something like two thousand and the majority there are Protestants. One can but draw ones own inference from this fact." The organ at St. Mary’s was made by the British firm Henry Willis & Sons in 1895. 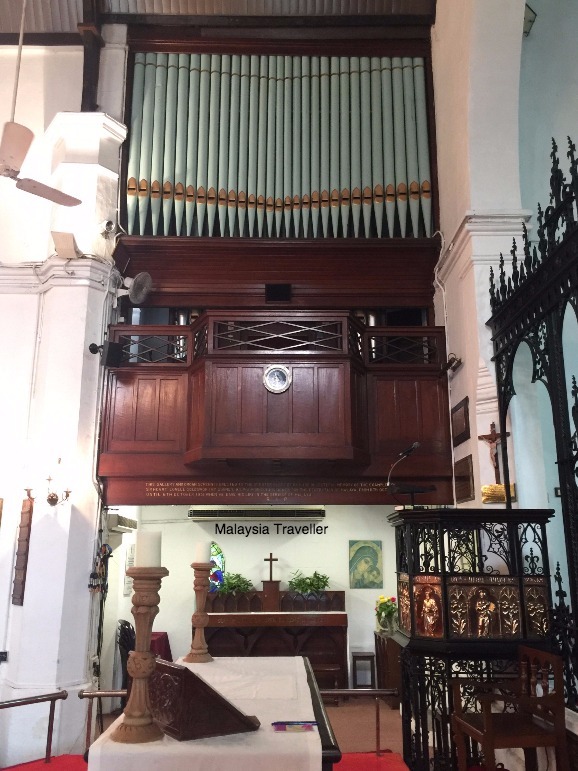 It was brought out to Malaya by a Mr. F Duberly, an organ enthusiast who wanted it for his personal use. After his death the organ was acquired by the church. It has survived floods, white ants and two world wars and, after a recent thorough overhaul and restoration by specialist organ builders Peter Wood and Son of Harrogate, Yorkshire, it is now as good as new and set to last another hundred years. The original stained glass windows were removed and stored during World War II for safe-keeping but after the War ended they could not be located. New windows had to be commissioned. Arthur Anstruther Lutyens ‘who died April 21st 1903 aged 36.’ Any relation to famous architect Edwin Lutyens I wonder? 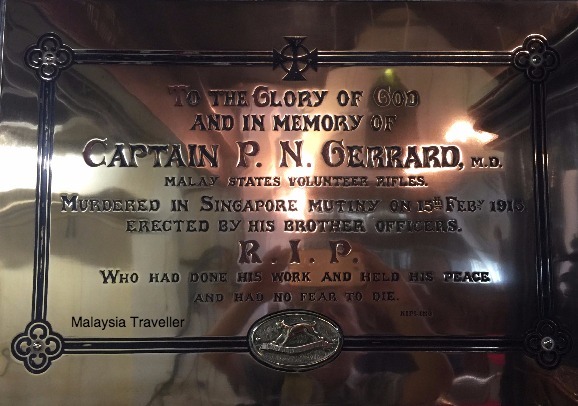 Captain P. N. Gerrard ‘murdered in Singapore Mutiny on 15th Feb 1915’. You can read an interesting account of that revolt here. The Cathedral of St Mary Kuala Lumpur is in the heart of the main tourist zone of the city. See my Kuala Lumpur Heritage Trail for details.